Best bets and value tips for racing from Scottsville on Sunday 10th February with selections provided by Winning Form as well as their back page tipster, Magic Tips. HOME RULER benefitted from her debut experience and she progressed smartly to finish 3rd over this c & d in a decent line-up last month. She meets moderate rivals today and is easily the form choice. The promising but injury plagued gelding, CUVARA showed his quality with a cracking last comeback sprint at the coast behind subsequent winner Sea Urchin seven weeks ago and he is clearly the one to beat on his return to his most successful track. 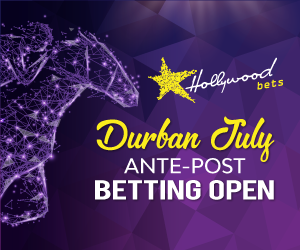 Best bets and value tips for racing from Greyville on Friday 19th April with selections provided by Winning Form as well as their back page tipster, Magic Tips.